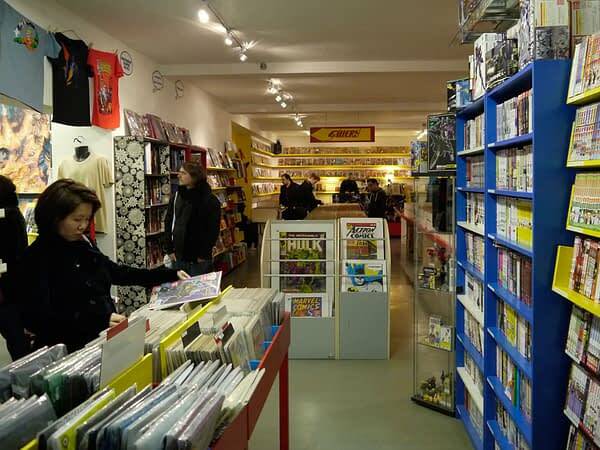 I may have mentioned London comic store Orbital Comics once or twice on Bleeding Cool. It has probably become my favourite comic shop. Not just the store, but the people therein. Sorry Forbidden Planet and Gosh, you are my close joint seconds… but yeah. Gotta be Orbital. They won an Eisner and everything. Well, if you want to see a lot more of me, Orbital Comics are hiring staff right now. We are looking for friendly, knowledgeable, enthusiastic and hardworking staff to join the Orbital team. Part-time and weekend positions available. Till experience is also desirable and experience working in a comic or bookshop is always a plus! Please send a CV and cover letter to info@orbitalcomics.com, explaining why you’d like to join us and what you can bring to the team, and please include your name in the subject line. Deadline to apply: September 30th, 2018.